1. Peel and slice the apples. 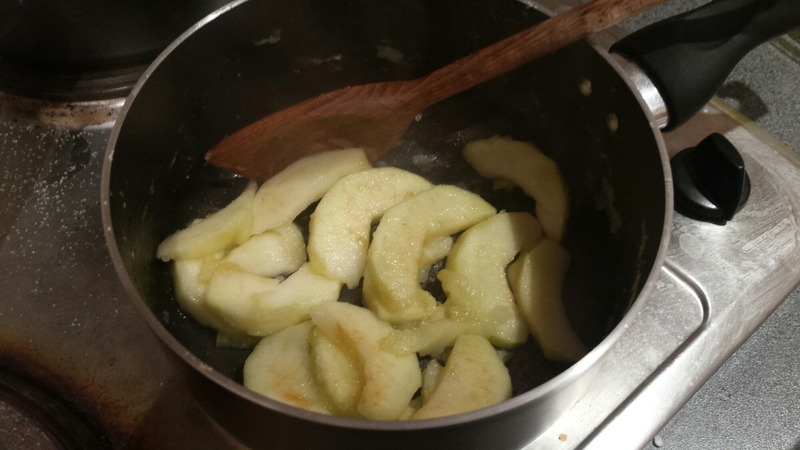 Place them in a pan of cold water as you go along to prevent them from browning until you have sliced all of the apples. 2. Drain the water. Add 50g of the sugar to the pan. 3. Heat on a medium heat, stirring, until the apples turn to mush. 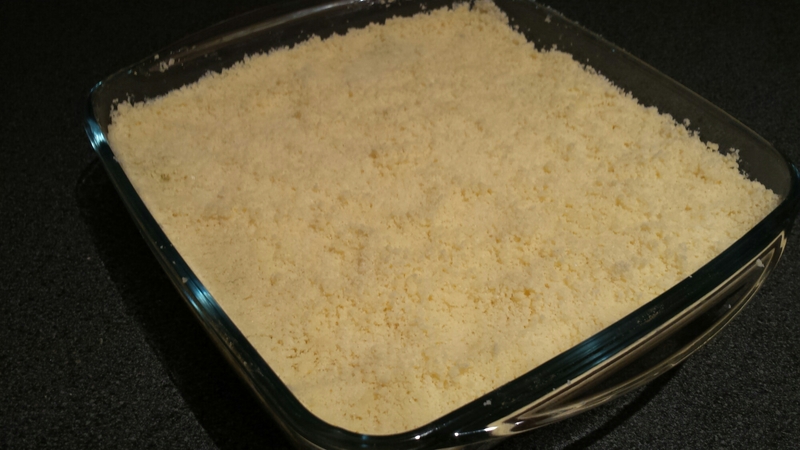 Remove from the heat and tip into your ovenproof dish. 4. In a bowl add the flour, butter and the rest of the sugar. 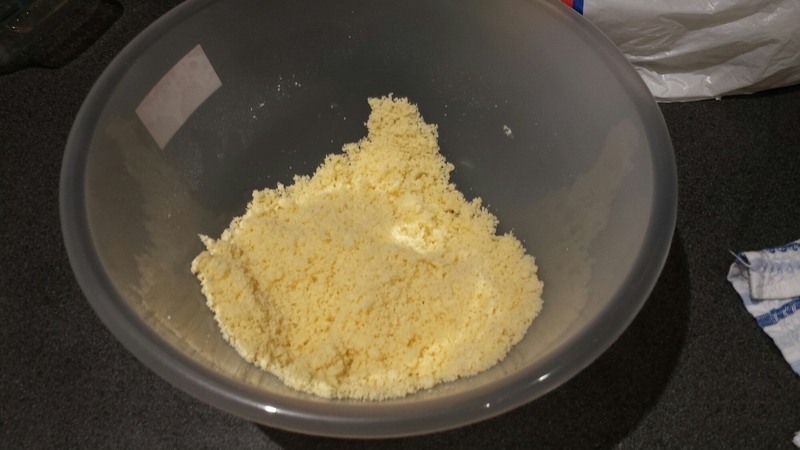 With your finger tips, rub the ingredients together until the mixture resembles fine breadcrumbs ( this will only take a couple of minutes but if you prefer, you can whizz it up in a mixer ). 5. 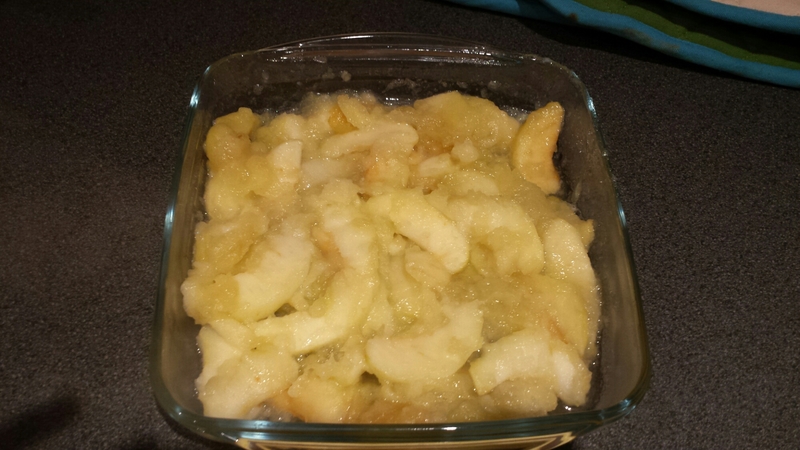 Pour the crumble mixture over the top of the apples, spreading evenly. 6. 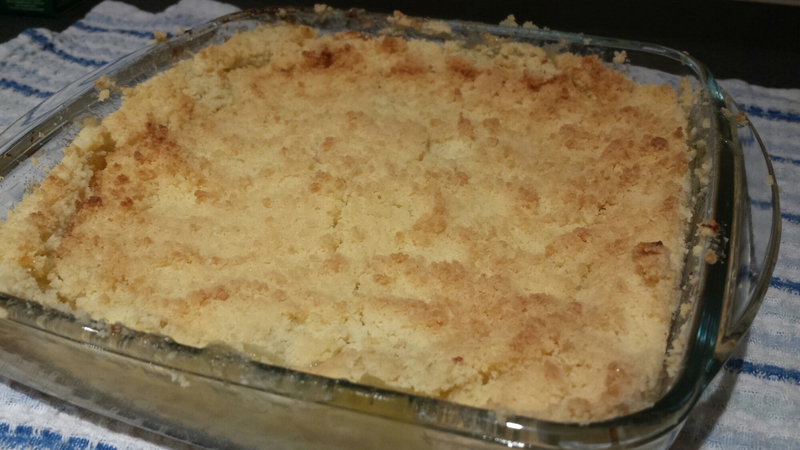 Bake in the oven at 200 ° C for 10-15 minutes or until the apples start to bubble and the crumble has hardened. 7. If you wish you can place the crumble under the grill for a few minutes to brown the topping, but watch it doesn’t burn. 8. 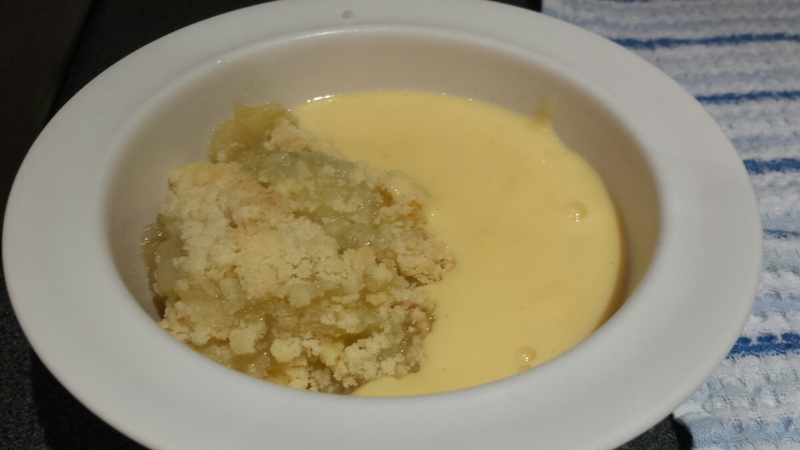 Serve with delicious hot custard. This really is a great simple recipe that’s perfect for those cold winter evenings, and even better served after a yummy Sunday roast! If you give this recipe a try I’d love to know how you get on! In August I was contacted to see if I’d like to be one of the first people to try a new gluten free product by free from company, Feel Free. 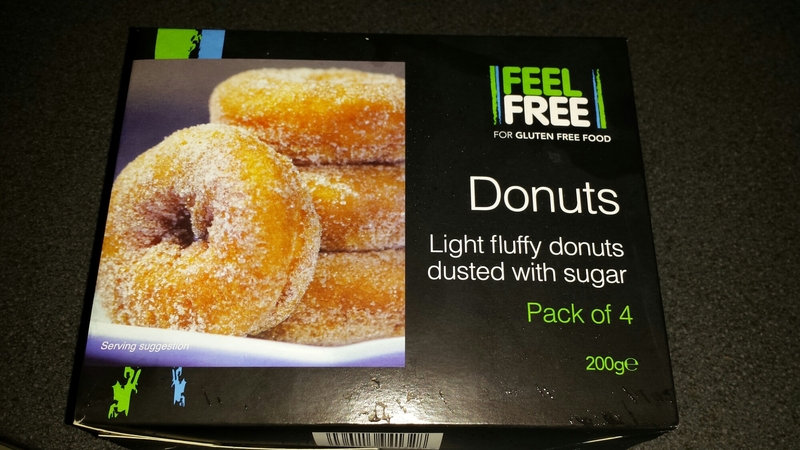 I was delighted to be asked and of course said yes, only for my excitement to be multiplied by a thousand when they said this product would be gluten free doughnuts! So you can see why I’m so excited to try these! Feel Free isn’t a new brand in the Free From market but has become better known over the last year or so. Starred in 2004 by a diagnosed Coeliac, they wanted to create gluten free products of a high standard that are suitable for everyone to eat, not just those following a gluten free lifestyle. These doughnuts were first sampled at the Allergy and Free From Show in London back in July, and following the positive feedback from visitors Feel Free decided to go ahead and launch them as soon as possible. 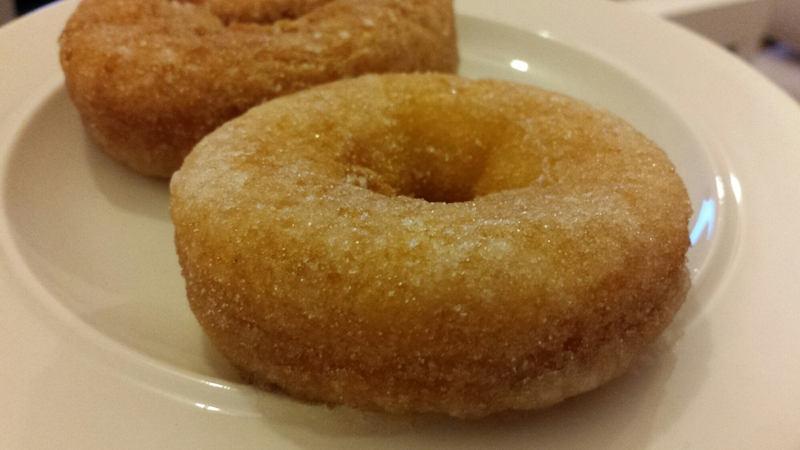 Made from potato and rice starch, these sugared ring doughnuts are free from gluten and wheat but do contain egg and milk. They are sold in packs of four and come frozen and can be kept up to six months, meaning they’re handy for when you fancy something sweet or have a guest visiting. Inside the box these are individually wrapped, making them easy to take out one at a time. They should be defrosted for up to an hour before eating and then it’s recommended to heat then in the microwave for thirty seconds to enjoy them warm. I let mine defrost but we don’t have a microwave, so I popped them in the oven on a low temperature for 5 minutes until they were nice and warm. *Note* It’s a good idea to flip these over once they’re out of the oven/microwave or transfer them to a different plate. The heat from the plate I’d warmed them on cause the bottom to go a little wet and the sugar to stick to the plate! WOW. Just wow. It’s pretty hard to think of a better way to describe these, particularly as this is all I kept saying! I couldn’t believe the smell as I was heating them up- I could have easily been at the seaside or Thorpe Park as they smell exactly the same. 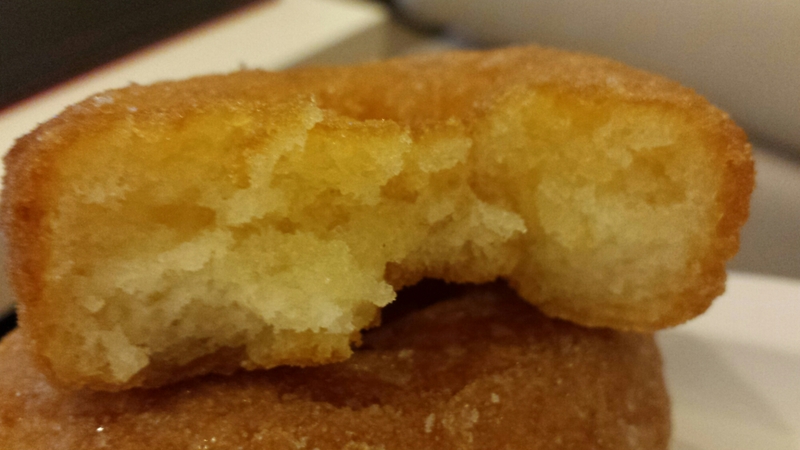 That delicious warm, sugary, doughy smell that sets your mouth watering. But then we get on to the taste. As I took my first bite I was concerned that these would be dry, particularly as the outside is more crisp than I remember of a doughnut, but I need not have worried. The dough inside is SO soft, it completely melts in your mouth, with a slight crunch from the sugar coating that is deliciously sweet. I couldn’t wait to take another bite! 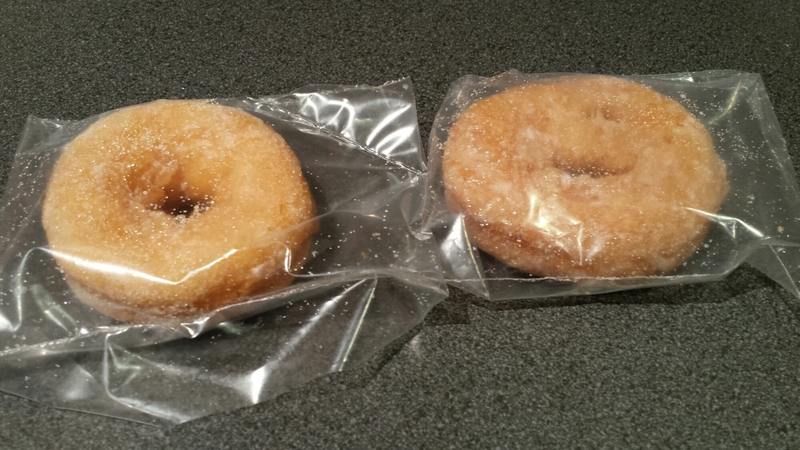 I tried to savour them as best I could, letting the doughy taste mix with the sugar on my tongue as I would as a kid, but it wasn’t long before the first doughnut had gone! Thank god I’d had the sense to get two out if the freezer! 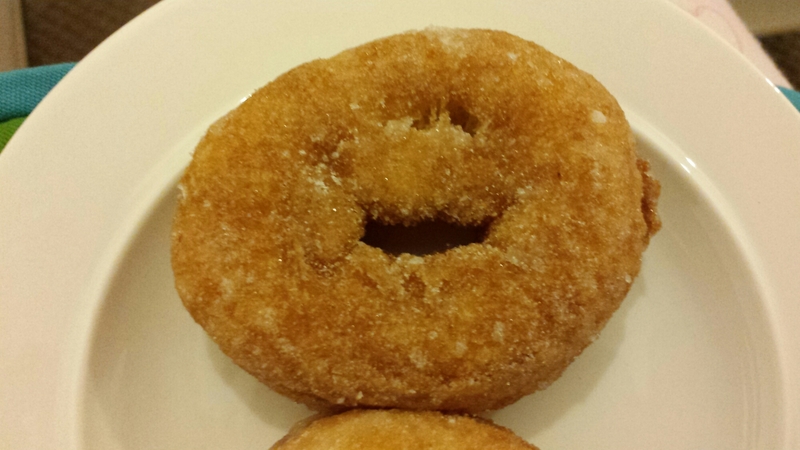 Look, this one even has its own little doughnut face! For my second doughnut I decided to revisit my childhood and paired them with some chocolate dessert sauce. 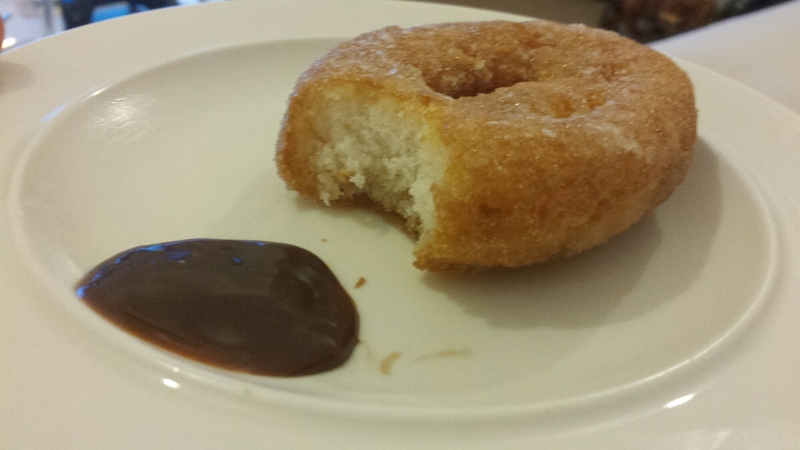 I remember how I’d always get my doughnuts with a chocolate dipping sauce and wanted to recreate that. The combination of the two was fantastic and a nice trip down memory lane, but I have to say I preferred these on their own in the end. 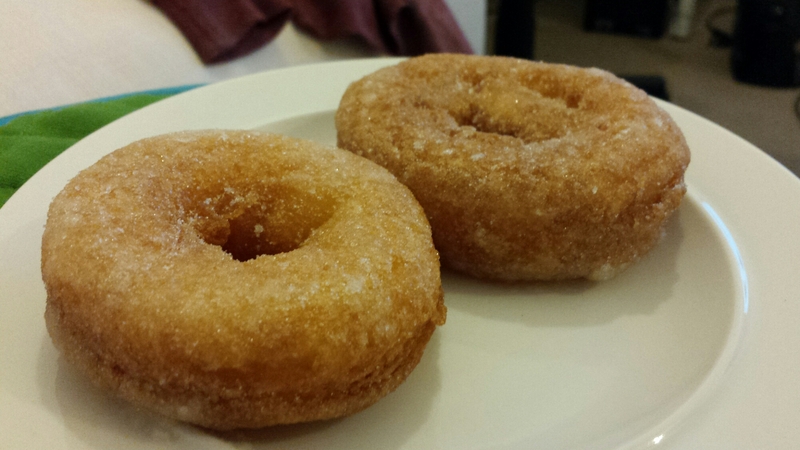 These Feel Free doughnuts are a real first for the free from market and I’m grateful to have been able to try them. The taste is exactly as a doughnut should be, and aside from the unconventional storage method (I don’t think I’ve ever seen frozen doughnuts before) you really couldn’t tell that these are gluten free, especially not in the taste. I’d love to see the range expanded, perhaps with an option with a jam centre. It would also be great to have a larger packet available or mini versions if you’re having a party ( I think these would be great for kids!). Otherwise, these are near perfection and I urge you all to get your hands on some…..you really won’t regret it! You can purchase these doughnuts via Feel Free’s online store. They cost £3.99 for a pack of 4 and delivery costs up to £8.65 (for a frozen courier) but is free for orders over £40. recipe, perfect because my Grandparents had picked up some of their goodies from the local hospital during Coeliac Awareness Week and I was planning to bake at their house. 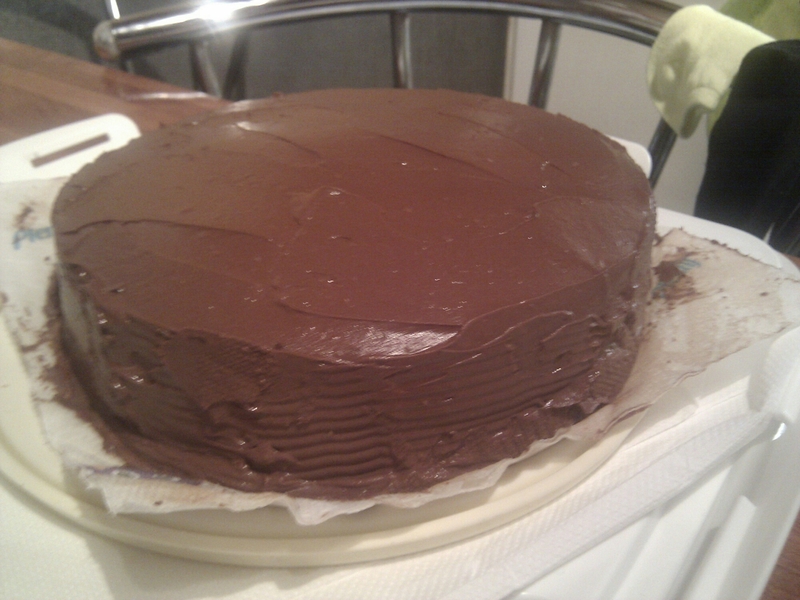 I can’t remember what chocolate fudge cake should taste like, but my god this cake is amazing!! So thick, creamy and sweet, it’d be perfect cut up and popped into an ice cream Sundae, or even just enjoyed with a dollop of vanilla ice cream on the side. My boyfriend devoured it and was amazed by how good it was, as we’re the family, friends and colleagues I shared it with who couldn’t believe it was gluten free. I followed the recipe exaxtly, but as it wasn’t specified which to use I used dark muscovado sugar. I also used just half of the icing as there’s a lot, but depending on your preference there’s definitely room for the full amount they state. When the weather gets nice and the BBQs are dusted off, my family like to get together to enjoy the weather and good food. They’re incredibly accommodating of my diet, always cooking my bits first, cleaning the grill, using separate tongs etc, so I like to thank them by making one of my favourite desserts! Anyone who follows me on Twitter (@CoeliacDelight) will know how much I LOVE Total Greek Yoghurt. I use it for everything- pasta sauce, in fajitas, as a dip (it makes great Tzatziki), as a snack with fruit, in smoothies- the list goes on and on. 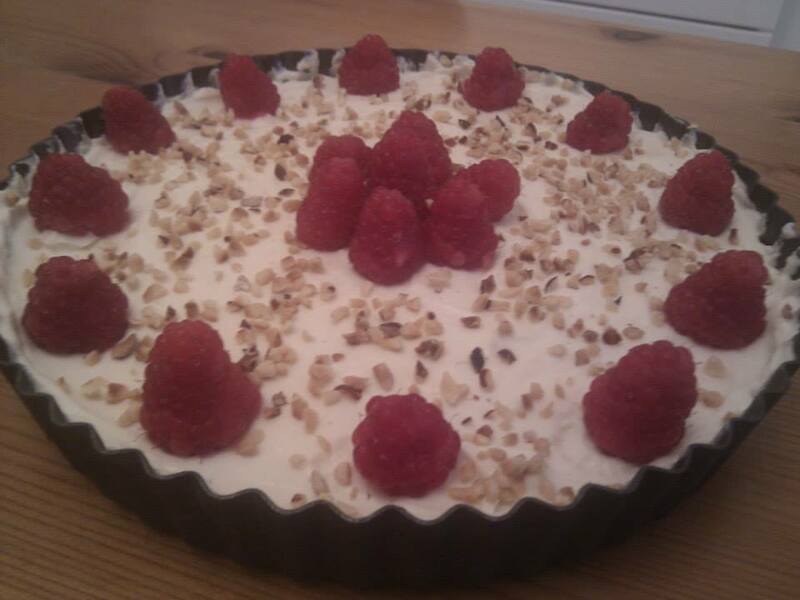 So when I noticed that they had a recipe for ‘cheese’ cake on their website I was amazed- combining something good for me with my favourite dessert? I’ve put my own spin on the recipe a couple of times now, and each time I make it my gluten-eating family are amazed. In fact, I’ve been told it’s nicer than a regular cheesecake! 1. Melt the butter in a saucepan. Mix in the biscuits, ground almonds and maple syrup until well combined. 2. Press into the tin and chill. 3. Whisk together the yoghurt and Bailey’s in a bowl until well combined and smooth. 4. Melt the chocolate in a bowl over a saucepan of water, stirring continuously. Then fold into the yoghurt until fully mixed. 5. Spoon on top of the base, then chill for at least two hours. 6. Remove from the tin and press the toasted almonds in to the sides of the cake and top with the raspberries. Dark chocolate with white chocolate- I like using Green & Black’s White Chocolate bar, which has vanilla seeds in it.